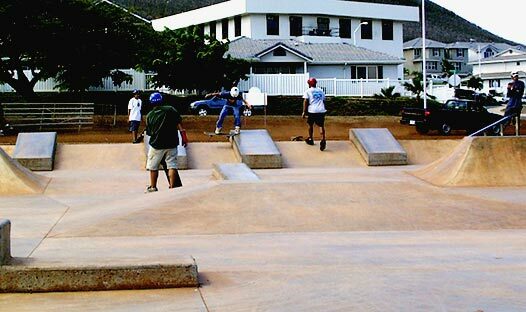 Hawaii Loa Skate Park, located at Kaneohe Bay adjacent to the tennis courts and Hawaii Loa Housing, is the ideal location for beginner to intermediate skateboard and roller blade enthusiasts. Skaters are asked to wear the proper safety equipment to fully enjoy this concrete park. Open daily from sunrise to sunset. For information call 254-7595. The Super Playground at Kaneohe Bay, located next to Hawaii Loa housing and skate park, is a kid’s dream. The enclosed park includes family-friendly restrooms and a wide variety of modern equipment. The Super Playground is ADA compliant. Open sunrise to sunset.